Hey, guys ! Everybody's talking about virtual reality these days, but I bet you haven't imagined how real it is getting. 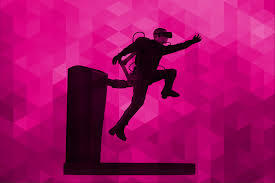 The AxonVR is landing in the world of technology and I am pretty sure that a new era of technology begins from here! Well ... most of us have taken the VR experience and we are thrilled by it too but just imagine it getting more real than ever. 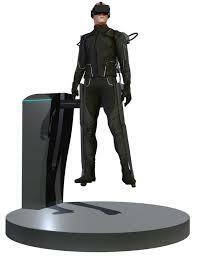 So basically it builds haptic technology that enables realistic feeling in virtual reality for the first time. The main thing here is the HaptX which is a haptic textile that simulates the lifelike touch which is driving everyone crazy in excitement. It's not just an ordinary feature, it allows you to feel the texture, shape, motion, vibration and even the temperature of virtual objects. That's not all! To extend this mind blowing more real than ever VR experience there's the HaptX Skeleton. The HaptX Skeleton is a lightweight exoskeleton that extends this amazing experience by applying some physical forces to your body! 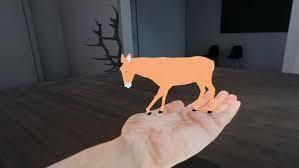 These advanced technologies of HaptX are really revolutionising the level of technology in the world.